Cells are the basic structural units in the living organisms. Cell is the functional and structural unit of life. A cell has a size of 1 to 100 micrometer. The division of the preexisting cells produces the other cells. The physiological and chemical functions that happen inside the cells are growth, repairing, immunity, digestion and communication. These cells without nuclear membrane have nuclear material. When the organisms have these kinds of cells, then they are called as prokaryotes. Examples are blue green algae and bacteria. These cells have a nuclear membrane and well organized nucleus. All the organisms other than the blue green algae and bacteria are called as Eukaryotic cells. Cells are generally spherical, rounding or elongated. Some cells are tend to be long and are pointed at the ends. 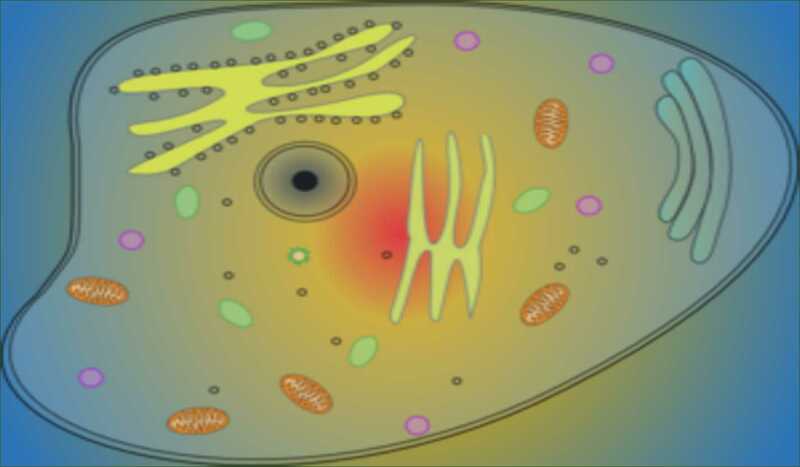 Membrane is enclosed with the components of the cell. A cell can be large as in centimeters or as small as in millionth. Cells are usually microscopic in the size. 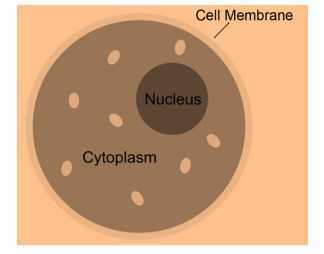 Inside the cell membrane, nucleus and cytoplasm are present, it is also known as plasma membrane. It is thin, a living part, elastic and delicate. Cell gets the shape from cell membrane. It has a jelly-like structure which is present between the nucleus and the cell membrane. Other components of cell like Golgi bodies, ribosomes, mitochondria, etc. are present in the cytoplasm. It consists of a nucleus which has a thread like structure known as chromosomes. It is a spherical organelle which is present in the center of the cell. Genes are stored in the nucleus. Cell cannot survive without nucleus. In the neurons, pumping of sodium ions across the membrane against the concentration gradient occurs by a process known as ____________. The protein is transported from ER to Golgi apparatus. It has two faces namely __________. The fluid present between nucleus and cell membrane is ________________. a) There is a big vacuole in plant cell while in animal cell, there are a number of small vacuoles. b) The structure of vacuole is similar to ER. c) The main function of vacuole is ATP synthesis. a) Dictyosome are Golgi apparatus in plant cell. b) Cell wall is present in plant cell. c) Plant cell contain chloroplast. d) Animal cell lack vacuoles. _______ Is credited for coining the term' cell'. Tonoplast is a semi-permeable membrane around _____________. Glyoxysomes are associated with ___________. ______ is brain of the cell. In the plant cell wall, a number of cavities are found which are known as ____________.